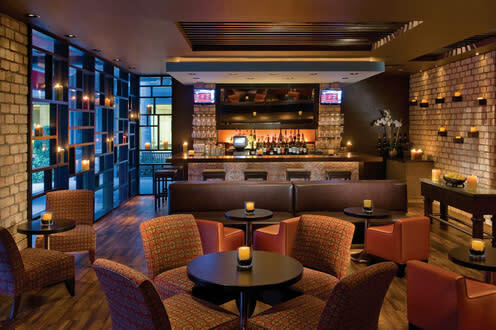 From happy hour habitues to night owls, O-lounge provides a unique vibe in a polished setting that glows as the night progresses. It's a comfortable gathering spot that feels trendy but without being pretentious. Here you can people watch, talk with friends and enjoy dj's mixing and blending O-so cool funk, lounge and terto music that will get you in an O-groove.